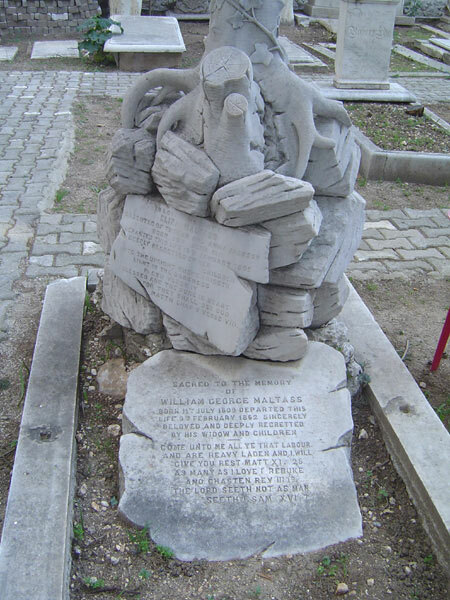 Grave of William George Maltass and his wife Eliza Jackson. See 2001 photo courtesy of Sandy White. See other shot and other shot. From Levantine Heritage. Used with permission. mar Frederick Hönischer [he seems to have wit a wedding in Smyrna on 3rd Apr 1856]. 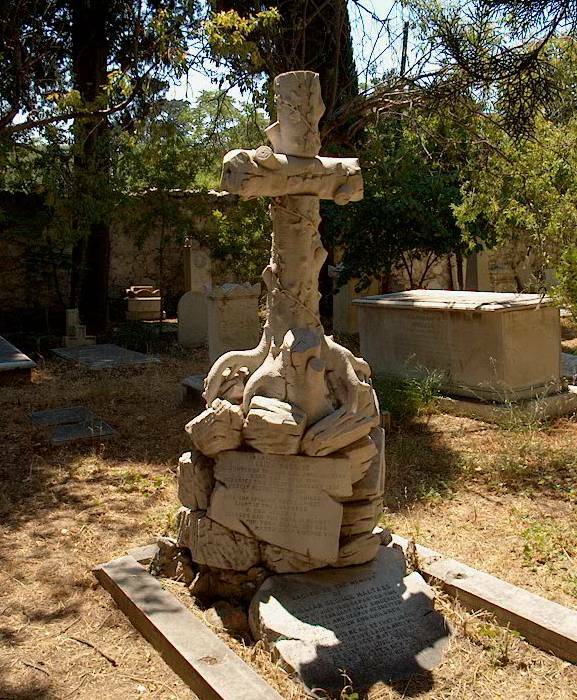 Mary Eliza Maltass, born 18th Nov 1851, Smyrna [LDS IGI]. She must be "Mary Eliza Maltass" (or "Mary Maltass") who mar 1875, Smyrna, to Edward Whittall and had issue. 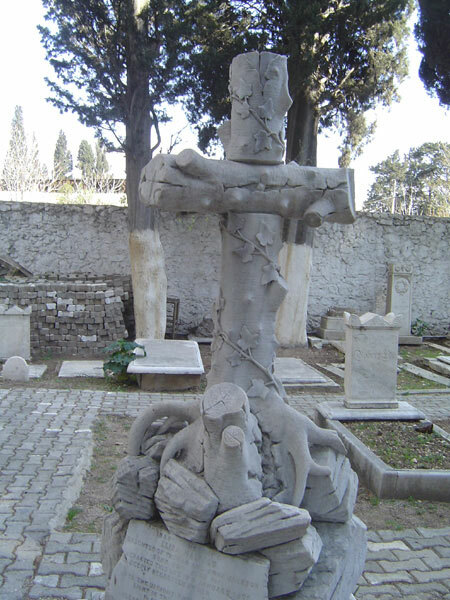 he would be Thomas J. Maltass, who wrote family history letter dated from Constantinople, 11 Mar 1892.
mar Edward La Fontaine [born 1806] and had issue. Henry John Maltass, listed in [Rees family papers]. Emma Maltass, listed in [1844 letter]. Maria Maltass, mar Samuel Hollis Anthony. mar Augustin Cousinery [or poss. Coutinery, merchant]. 4 children, Maltass, born pre-1860, orphaned in 1865. 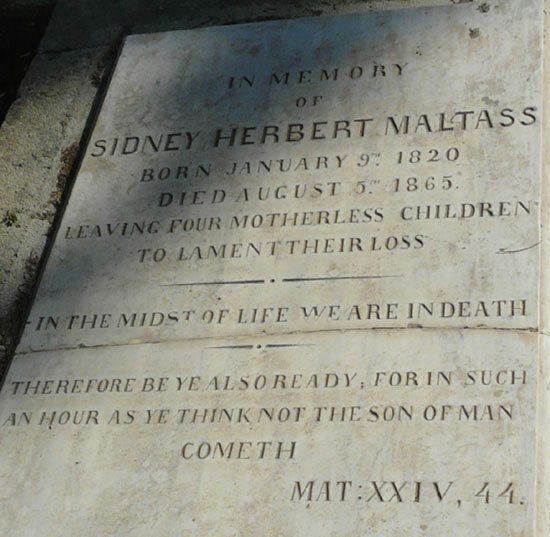 Grave of Sidney Herbert Maltass. 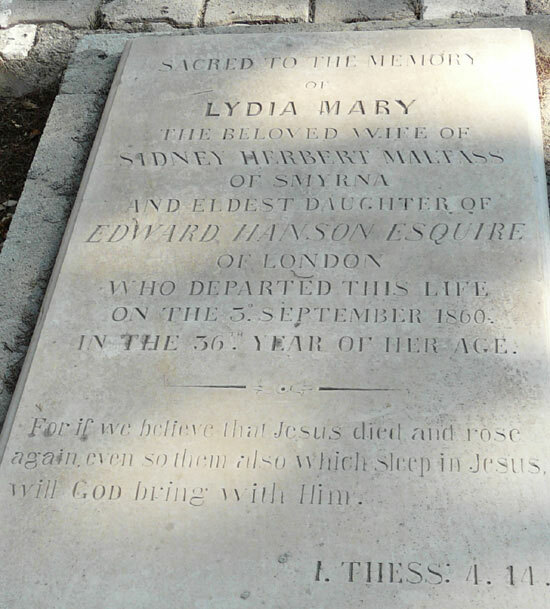 Grave of Lydia Mary Hanson. 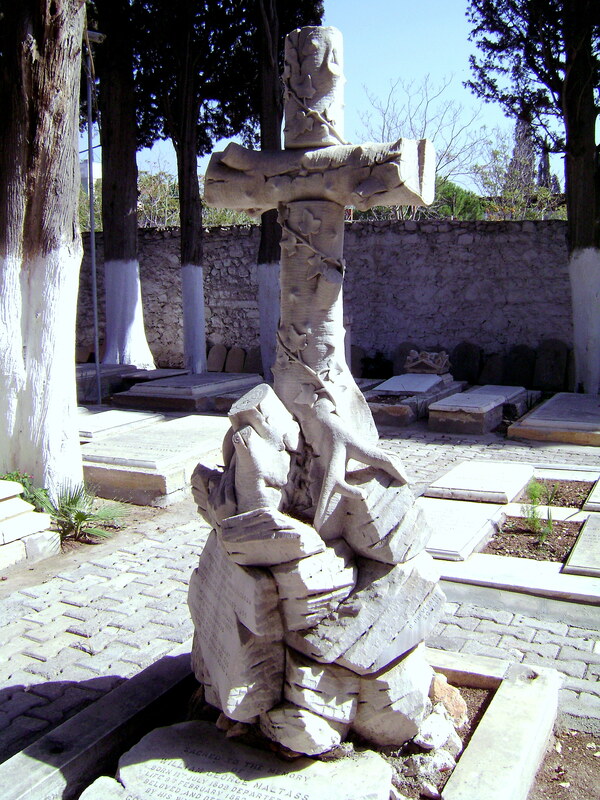 Edith Mary Maltass, born 16th Feb 1850, Turkey. Josiah Wedgwood, born 1921, died 1921 [see ancestors].